2 Bedroom Flat For Sale in London for Offers in excess of £599,999. The property is situated within a period conversion and has generous ceiling height throughout. Both bedrooms are well proportioned, the master bedroom has a large bay window elegant plantation shutters and built in wardrobes. The second double bedroom has stripped wooden floors and is situated next to the properties bathroom which is modern and stylish. The living room is located in the heart of the property and has stylish exposed brick feature wall. The modern fitted kitchen is set off the living room and provides access to the properties private south westerly facing rear garden. There is potential to extend subject to the usual consents. 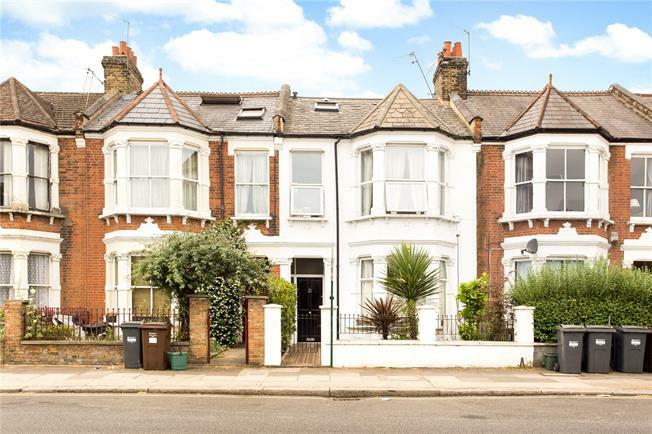 The property is located just south of Chiswick High Road providing easy access to the varied selection of restaurants, bars and shops and parks on your doorstep. Turnham Green or Stamford Brook Underground stations are both within close distance along with numerous bus routes. Chiswick house and the River Thames are within a few minutes walk, plus there is easy access in and out of London via the A4.